If you are trying to login via the http://www.studiocoast.com.au website, simply select the question mark next to the login button. If you are logging in via hostControl (https://secure.hostcontrol.com.au), select the "Forgotten Password" button underneath. Once selected, this will take you to a screen where you can enter your username or a domain name on the account and select "Recover Password". This will then automatically send a password reset email to the primary email account for your account. Alternatively, if you have a mobile phone number listed, it will send a verification code via SMS to your mobile as well. Shortly after you should receive an email (or SMS) that includes a verification code that will need to be entered into the text box displayed after submitting the recover password request from step 2. Alternatively, you can also link to click the link in the email to take you to the password reset page. Once you have entered the verification code, you will be taken to the Change Password page. 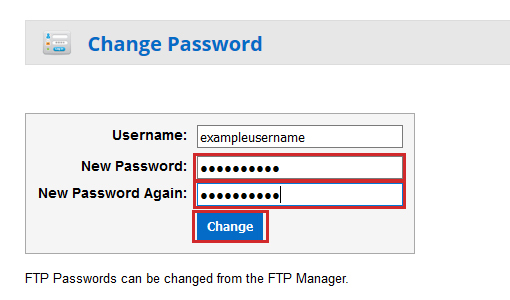 Enter your new password in the two fields and then click the "Change" button to save. You will then get a confirmation that your StudioCoast account password has been successfully changed.